Sayrha has over ten years’ experience in property law, with a particular emphasis on leasehold enfranchisement. 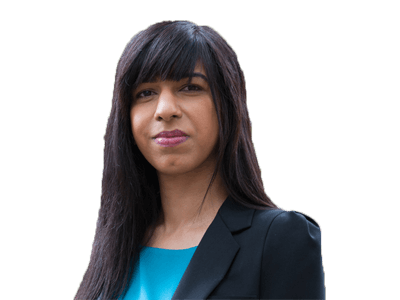 Sayrha qualified as a solicitor in 2010 and joined the Property Team in 2014. Sayrha has a broad knowledge of property law, with a particular emphasis on leasehold enfranchisement, including lease extensions and the right of first refusal. Sayrha is also experienced in auction transactions acting in both sales and purchases. Sayrha has acted for a range of clients, both domestic and international, from first time buyers to private individuals and companies with extensive property portfolios. Much of her work comes from repeat clients and recommendations. Whether you are a tenant looking to enforce your right to buy the freehold of a property or extend the terms of your leases; or you are a landlord who wants to defend your right not to sell or to make sure you are offered the best possible price for the freehold, our Leasehold Enfranchisement department can help you. Leasehold enfranchisement has increased in popularity in recent years, and because of the current housing market that trend does not look like ceasing. With the number of cases on the up so is the number of firms offering such services. What makes Colman Coyle different is our specialist knowledge and over 20 years experience in this area. Our leasehold enfranchisement team also work closely with our real estate team on cases that proceed to the Leasehold Valuation Tribunal, the Lands Tribunal and the Court of Appeal. The Acts lays down strict requirements that must be followed and there are serious consequences with failing to meet deadlines. Our Enfranchisement department is well versed in the act and will guide you through all the requirements. Prepare for the formal hearing before the LVT in the event that those issues that remain in dispute between the parties cannot be agreed.